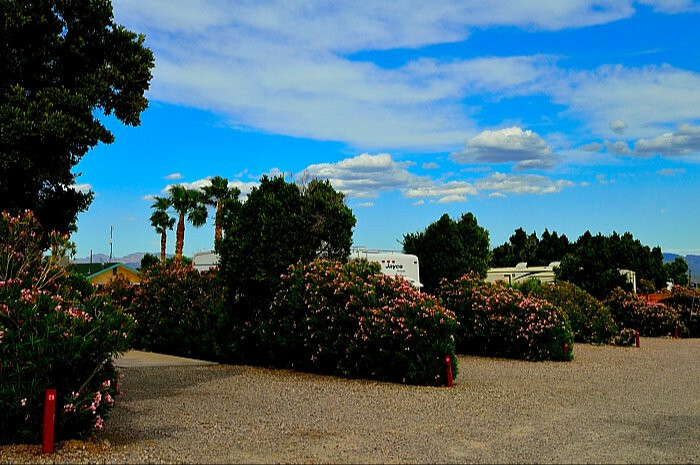 Ask fellow campers about "Desert View RV Resort" and nearby attractions. Beautiful park - pull through with cement patio, oleander privacy hedge between spaces. Good satellite, AT&T, WiFi. Clean laundry room, $1.50 wash, $1 dry We camped at Desert View RV Resort in a Motorhome. Talk about a welcoming oasis in the middle of the desert . . . this place is it! You can see the park from a distance-it beckons with towering palm trees amidst a surrounding barren expanse. It's not fancy-it's not even new-but it is comfortable, clean and enchanting. Upon entering, a sense of cool and quiet pervades everything. You can't find more friendly and helpful staff-these folks really care about the comfort of their guests. Even though I classify the spaces as nearby, you get the sense of extreme privacy because of the thick and beautiful oleander hedges between each neighbor. Surrounding desert scenery is striking, especially at sundown. At night, the park is gently but amply lit. It took a lot of time and patience to bring this place into full bloom! The park offers all the basic amenities without over-reaching for the sake of checking a box. Internal roads are easily navigable; all sites are gravel and full hook-up. There are large and small pull-thrus and various length back-ins-everyone can be accommodated here. Utilities were located in the middle of site 27, making hook-ups short and easy. Wi-Fi worked well and OTA TV reception was good from both Phoenix and Las Vegas. Simple, clean and well-appointed, this is a quality stop. If you will be traveling in the desert, find a way to stay here. Casinos, entertainment and cheaper fuel can be found in nearby Nevada/Arizona. 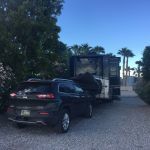 We camped at Desert View RV Resort in a Fifth Wheel. Sites were a little tight. But no too bad. We camped at Desert View RV Resort in a Motorhome. This is a very nice, desert park with lots of trees. An 8' oleander hedge separates each site from its neighbor providing a nice screen for privacy. Sites have a concrete patio, are gravel, level, and either pull through or back in. All utilities are located about mid-site. One road in the park is paved, the others are gravel. Free Wifi and book/DVD exchange are available in the clubhouse. Our Verizon MiFi worked well. The pool is available year round. Laundry room looked very clean during our walk through; we did not use it. Everyone we met was very friendly and helpful with tips on the area. We will definitely stay here again when in the area. 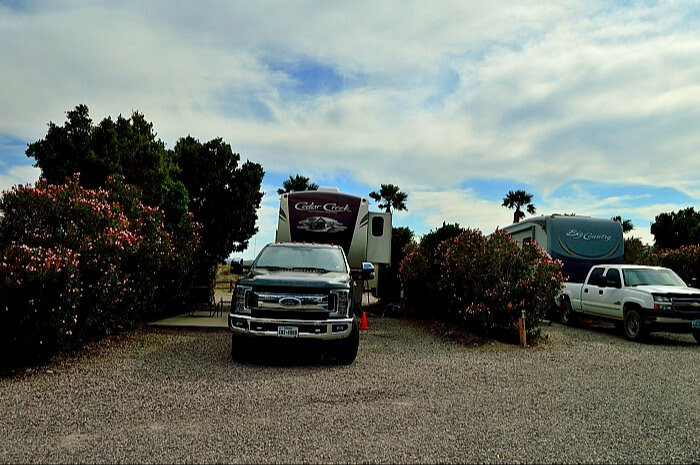 We camped at Desert View RV Resort in a Motorhome. Safeway and Smith grocery stores are available in Fort Mohave, AZ, about 15 miles north on AZ 95. This park is clean and relatively private, since rows of oleander line each campsite. It is also fairly quiet with level sites. Our one complaint is that the sewer inlets were a bit high for our Airstream, but with some effort it worked OK. The restrooms are near the pool and are not that great: they need some work; there is no place to set anything; and they are not all that clean. We were there at the end of April, and the park was almost full in the evening. It is best to make reservations. Be sure to look for the night hawks flying near the palm trees at night... quite a few and interesting. We would stay here again. 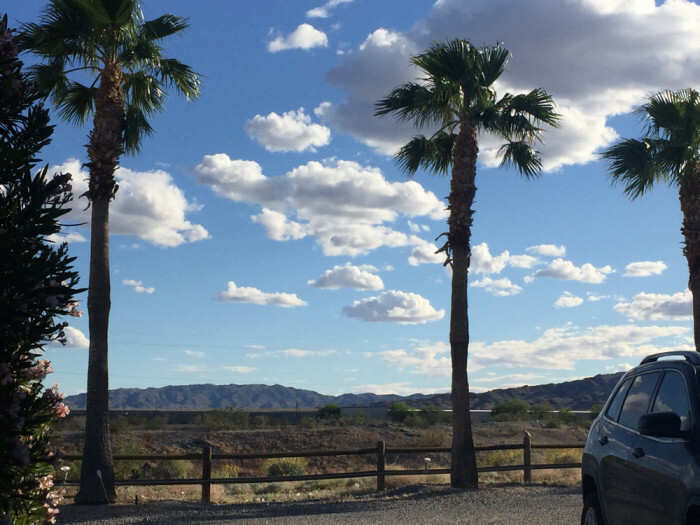 We camped at Desert View RV Resort in a Travel Trailer. Good park for overnight stop. Friendly workers. Good hook ups. Plenty of room for our toad. Will be back. 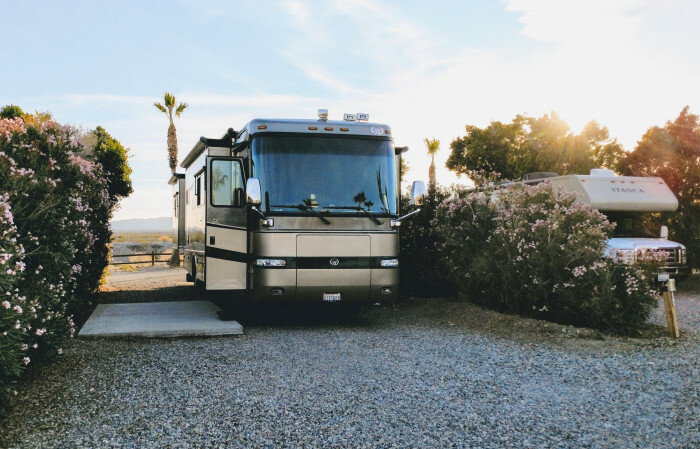 We camped at Desert View RV Resort in a Motorhome. We stayed here one night. A nice park not far off the interstate. The roads as a little tight for big rigs. We had a nice long site with bush screening between the sites. Clean and well cared for. We were able to keep to toad attached for an early departure. The sites are gravel with a concrete pad. We did not test the wifi but they said we had to go to the office to get it. There is an adjacent open area where you can walk your dog. We camped at Desert View RV Resort in a Motorhome. Okay place to stay overnight from I-40. Sites are level gravel and concrete with some patios. They are tight for big rigs but the management parks you personally so that you fit. Bushes all around for privacy. Wifi is available at the activity center. 30/50 amp full hookups. Satellite works, no cable. Dog park and pool. Extremely friendly people! Would stay here again. We camped at Desert View RV Resort in a Motorhome. Needles is on the Colorado River at Interstate 40. This puts you at the intersection of California, Arizona and Nevada. This is a nice RV park with mostly pull through sites. There are mature shrubs and trees separating the sites giving a degree of privacy but the site itself is fairly narrow with no patio or fire pit. There are the usual facilities: full hookups, bathrooms, showers, pool, community room etc. The bathrooms are spotless and well maintained. Most driveways and site pads are gravel. There is free WiFi but it was spotty from our site but reliable from the community room. Good service and friendly people. We paid $195 for a week. 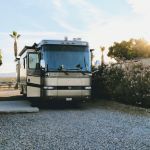 We camped at Desert View RV Resort in a Motorhome. Sites are level, extremely narrow although dense vegetation gives the illusion of privacy. In order to be centered on our 'patio' it was necessary to unhook and park our truck crossways in the site. Some highway and train noise. 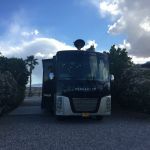 Okay for overnight but I would look for another option if we find ourselves in the area again, We camped at Desert View RV Resort in a Fifth Wheel. Watch the vegetation when you put out your slides to avoid scratching your rig! we stayed here overnight on a trip to Grand Canyon. I made a reservation in advance and told them I would be checking in late and leaving early. I received an email confirmation and a text reminder the day of my visit. Just as I was told, the management had my reservation package waiting for me and I was able to leave payment in a lockbox at the office. The site was level, power was good and secure and water pressure was good. Although the sites were (typically) close, there are nice heavy oleander bushes on either side of the site offering privacy. The park is very conveniently located right off the highway, which brings me to my only "con." The highway and nearby train track do cause a bit of noise, particularly with windows open. Other than that, this is a nice park and we would stay here again. 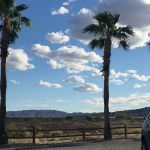 We camped at Desert View RV Resort in a Travel Trailer. September 30- Nice, well maintained campground. Tall shrubs separate each site for privacy. Good Verizon Wireless and MIFI signal. Only issue was that their free wifi never connected to our laptops. 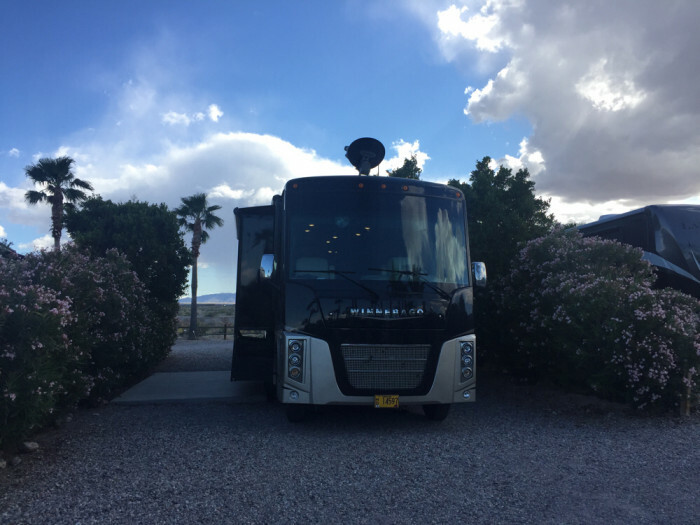 We camped at Desert View RV Resort in a Motorhome. Stopped here overnight based on reviews and the desire for. Swimming pool for our 9 year old grandson Checking easy and friendly. Our sit was close to both the office and pool/ showers. Gravel site with concrete pad divided from other sites by a tall hedge Cable end was missing but everything else worked. We camped at Desert View RV Resort in a Motorhome. Visited the park with my friends and we had a great time going jet skiing in the Colorado River! There is lots of shade during the hot summer days. Great amentities including a pool, ping pong tables, full kitchen and barbecue. We enjoyed our experience very much and would love to come back again!! 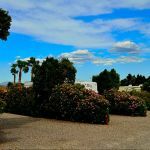 We camped at Desert View RV Resort in a Travel Trailer. Lots of Shade very rare amenity in the desert!! Very beautiful with tall flowers separating each site. Sites were long with gravel and concrete pad very level. Club house and pool were very clean and the park was well maintained. Managers were very helpful and cordial. 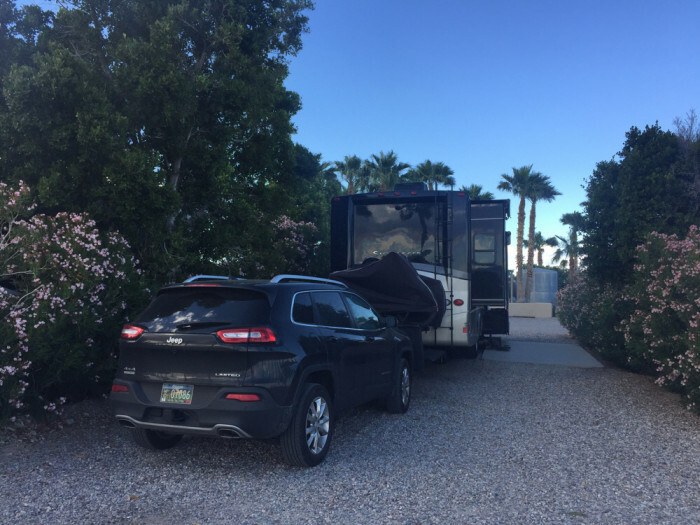 We camped at Desert View RV Resort in a Travel Trailer. Recommend you cross the river to purchase fuel in AZ. The savings per gallon is well worth the short trip. We had a good meal at the Route 66 Wagon Wheel restaurant. Needles has no supermarket. Nearest Safeway/Smiths is 10 miles up the river in Arizona. Fuel is very inexpensive at an Arco just across the river in Arizona and at the Safeway Restaurants Juicy's and the Wagon Wheel for Chinese, Mexican. Fast food is a couple miles away, Dairy Queen, Carl's, Mcdonalds, Jack in the Box. There is a 99cent only store, a couple dollar stores and the Rite Aid drug store is at the extreme east end of Needles, just off the last Needles freeway exit. Close to the Colorado River and Needles. We only stayed one night, but would return, in fact this might have been our second stay.Nice and Clean. Sites not ready upon reserved arrival. Sites require major trimming before entering especially if you have slides. Also had to clean dog poo from site before entering. Oatman AZ and Laughlin NV within 30 minutes. Oatman,AZ is about 30 min. away and a must see old gold mine town. Wild burros roam the street and the hotel where Clark Gable and Carol Lombard spent their honeymoon is here. Also drive down to Lake Havasu, AZ and see London Bridge. Didn't investigate the area, but did use the onsite laundry, cheap and clean. The pool is heated comfortably and the showers and restrooms were spotless. Good food and river nearby! As mentioned in my review, you are pretty much out of town in the boonies in this park so best to have stock on hand before settling in for the night. Kelso depot in the Mojave National Preserve was worth the trip of 1 hour 20 minutes. Groceries are difficult to find. Juicy's river cafe was a wonderful place to eat. If coming from AZ, be sure to fuel up before crossing into CA - price difference when we went through was $1.35/gallon more on the CA side. 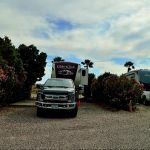 Are you affiliated with Desert View RV Resort ?